After relying on Open/LibreOffice (and Latex) for roughly ten years, I am forced to use Microsoft Office again. 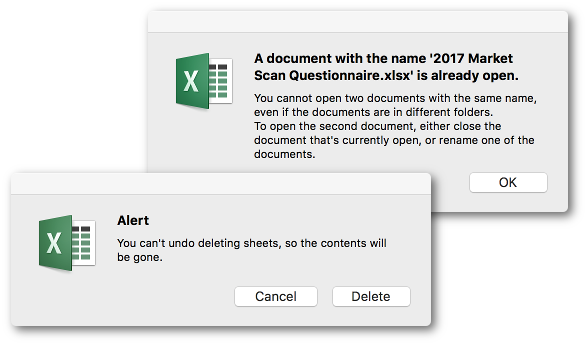 Sadly enough, it’s still not possible to undo deleting sheets, or to open two files with the same name. Sad state of affairs.